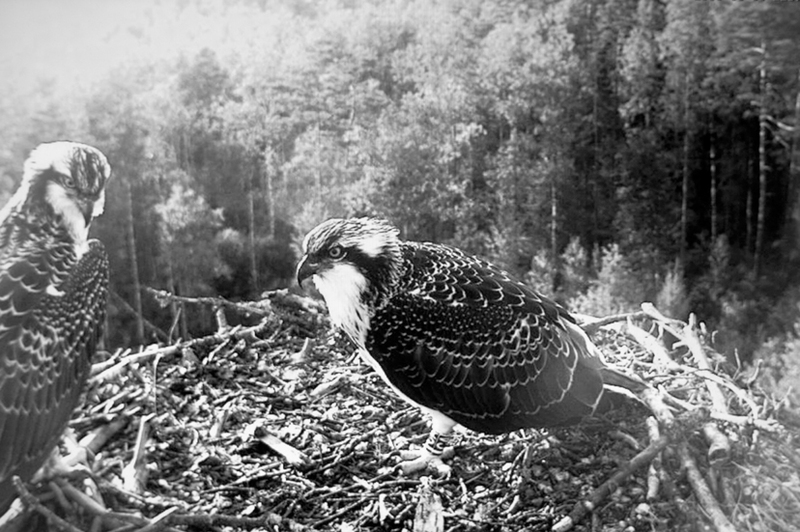 Osprey (Pandion haliaetus) – rare bird of prey with unique morphology, only member of the Pandionidae sub-order; genus name refers to the mythical Greek king Pandion, whose daughters and son-in- law were transformed into fowl (Ovid, Metamorphoses). 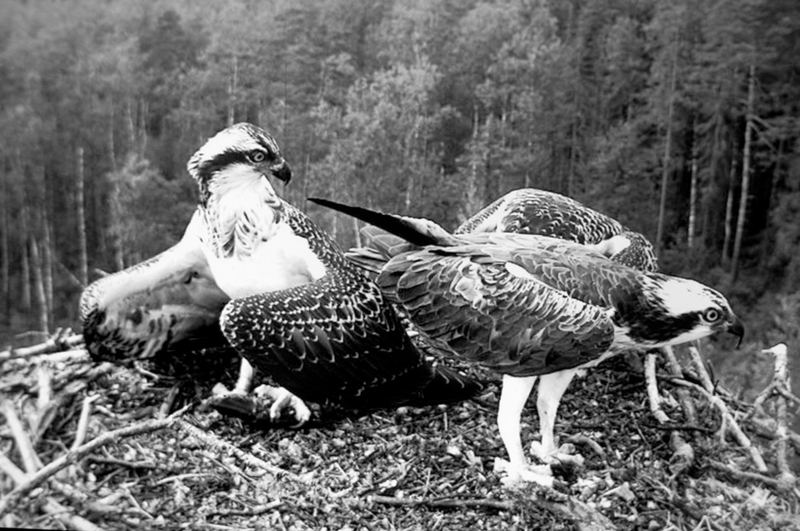 We are all animals, they became birds. 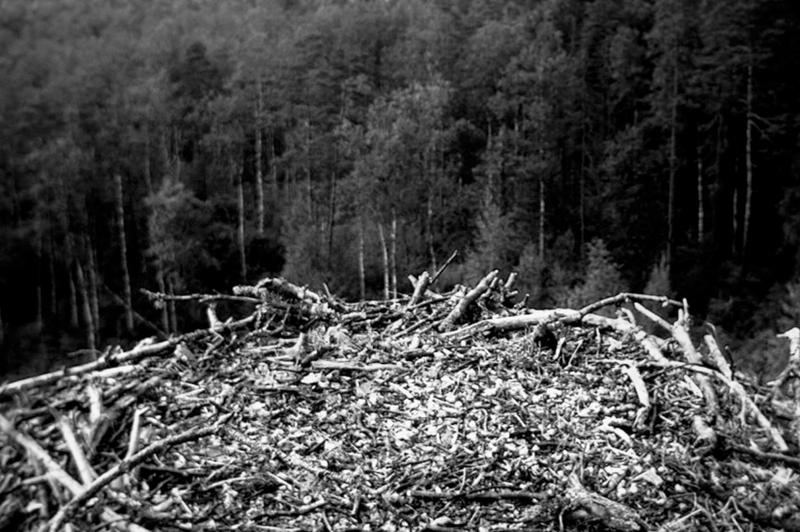 Deep in the Baltic woods the stage is set for an ancient play. 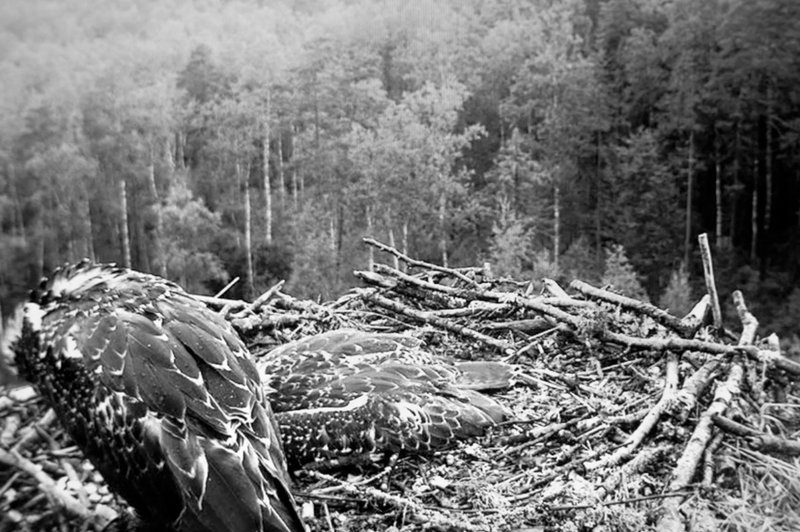 The narrative is written by nature itself: the arrival of life on this planet, the nurturing, protecting and caring for our young until they spread their wings to repeat the circle of birth, copulation and death once again. 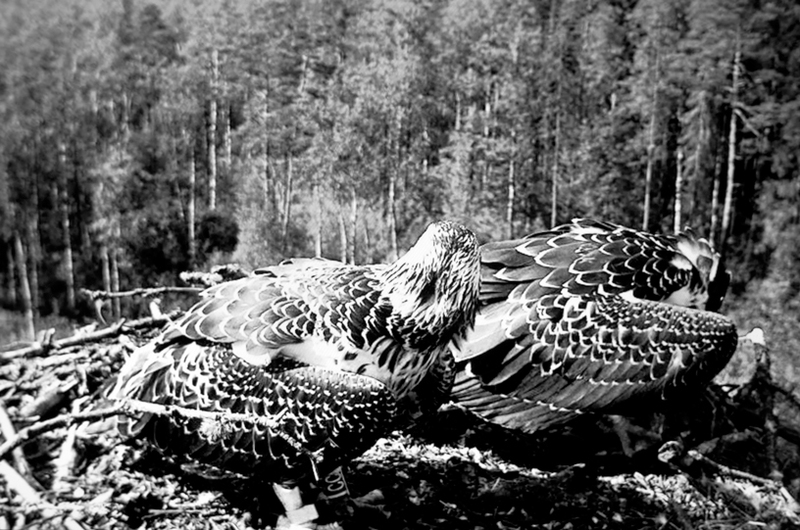 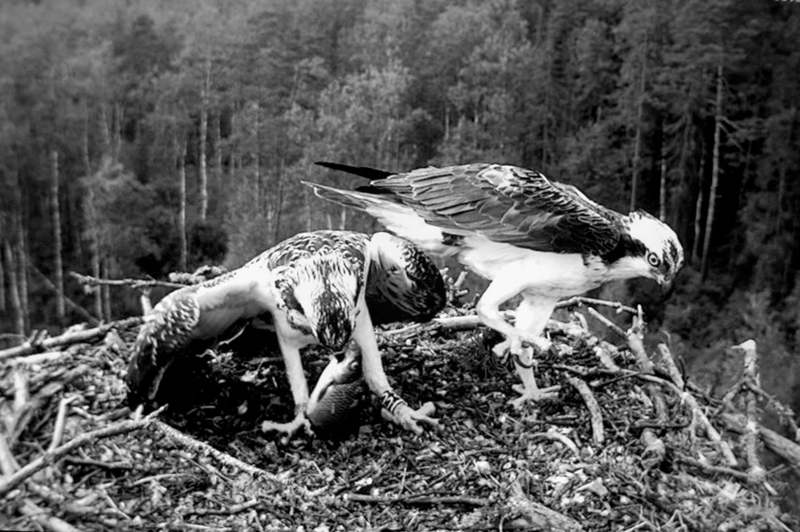 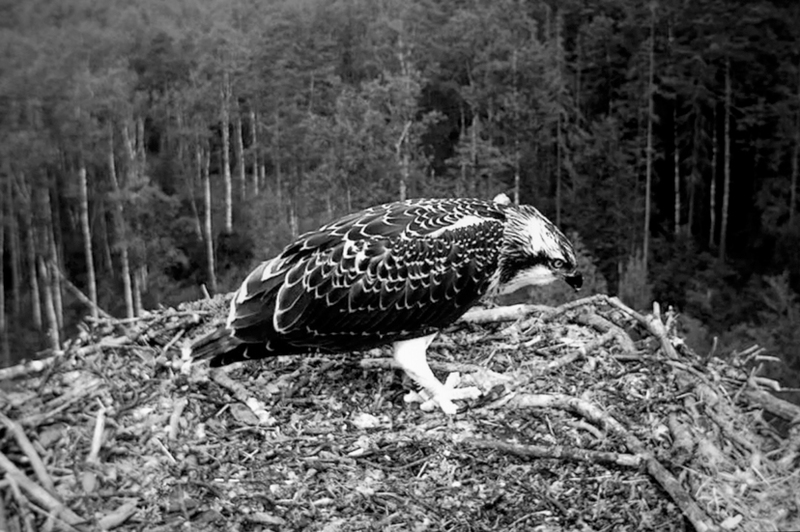 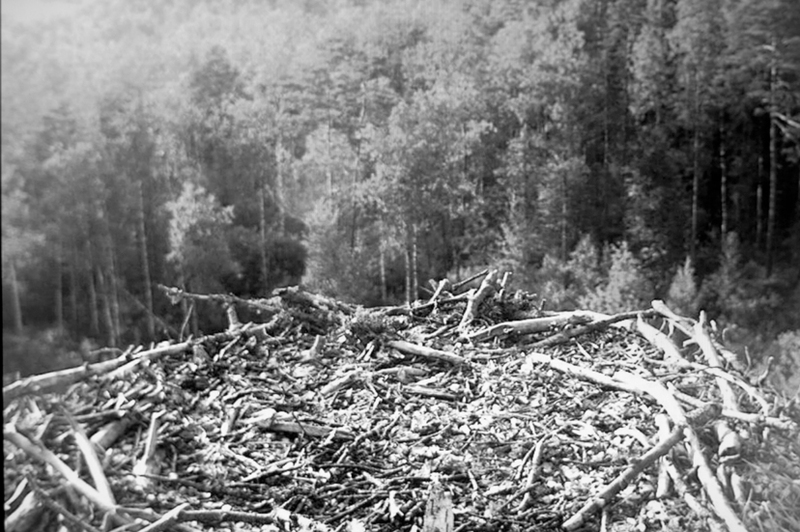 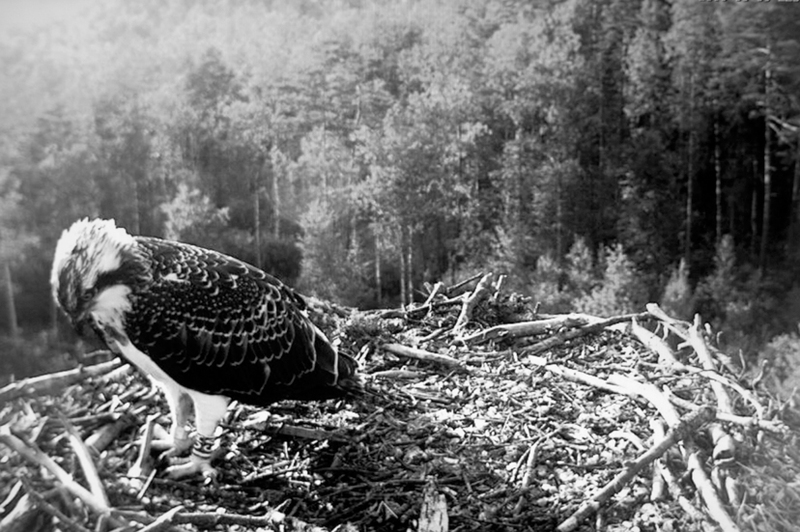 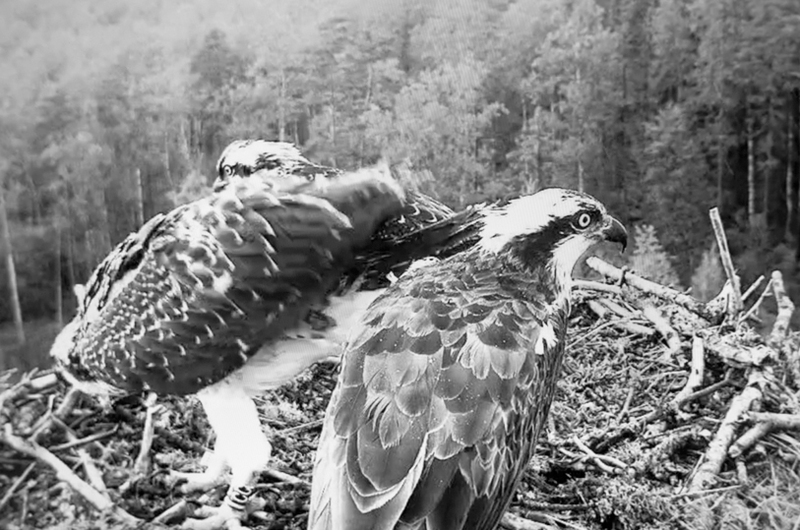 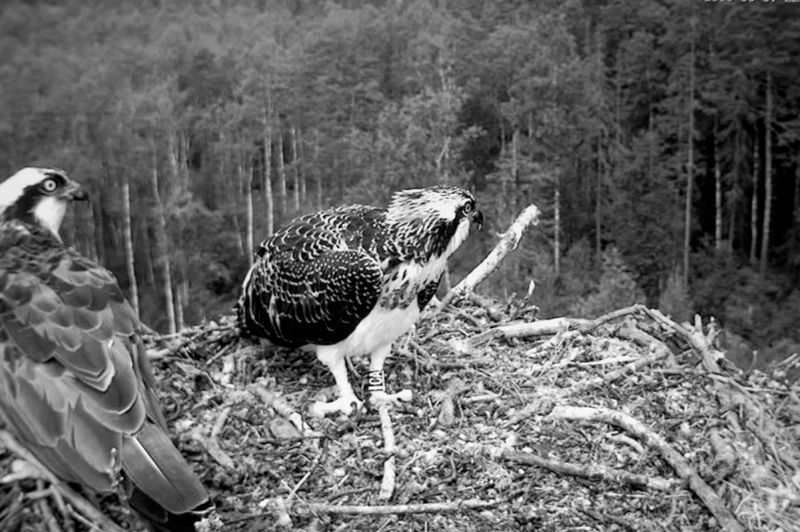 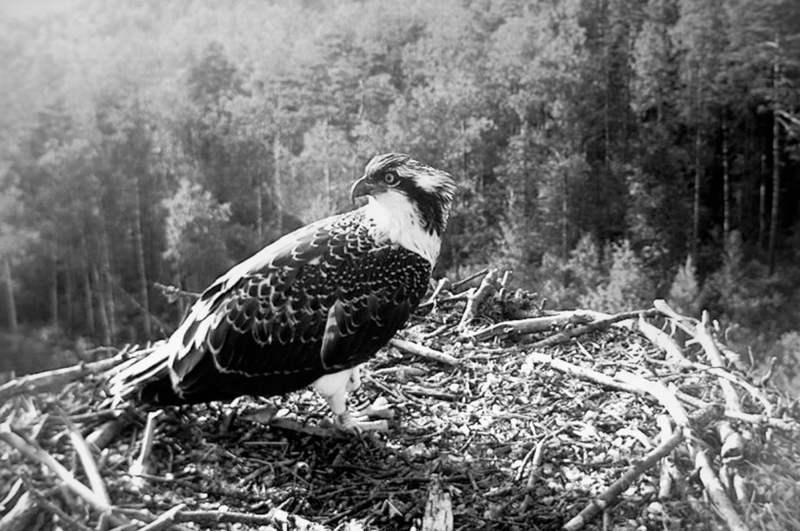 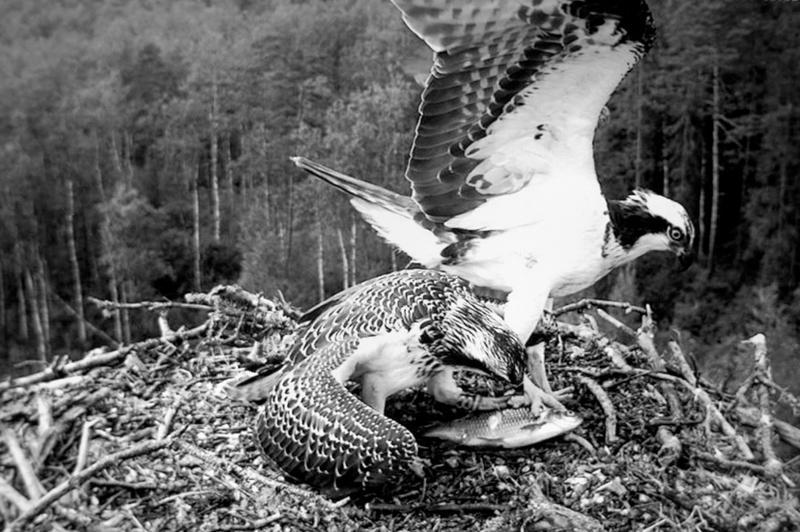 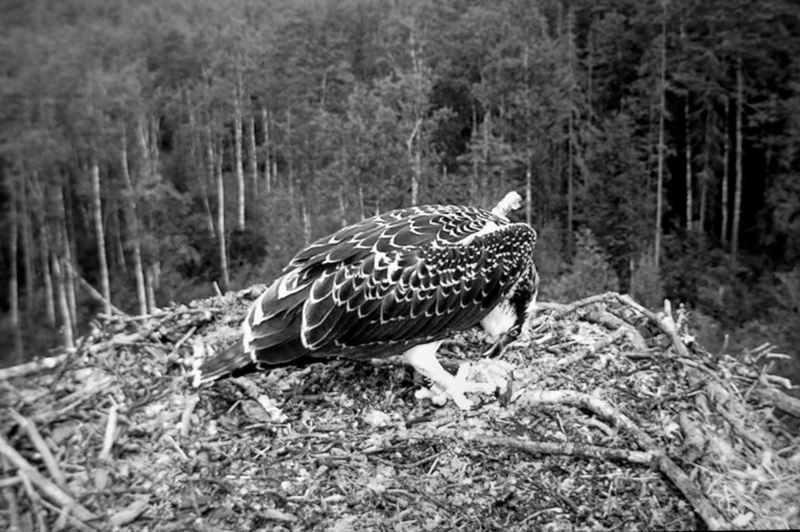 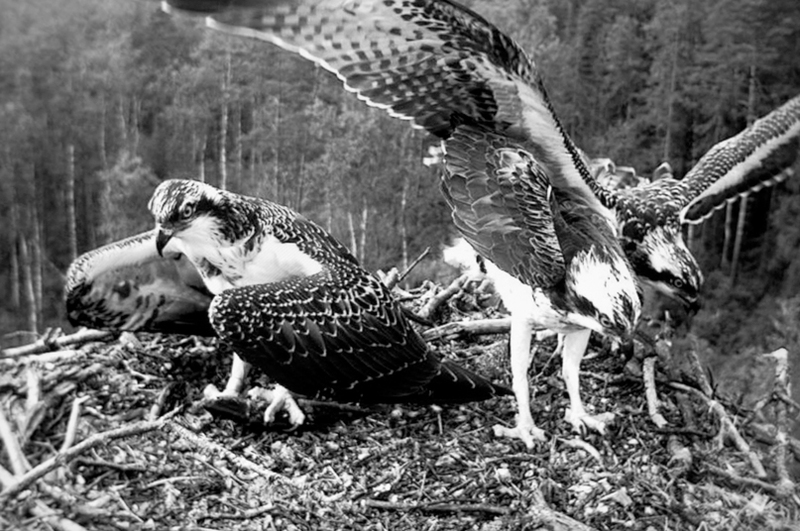 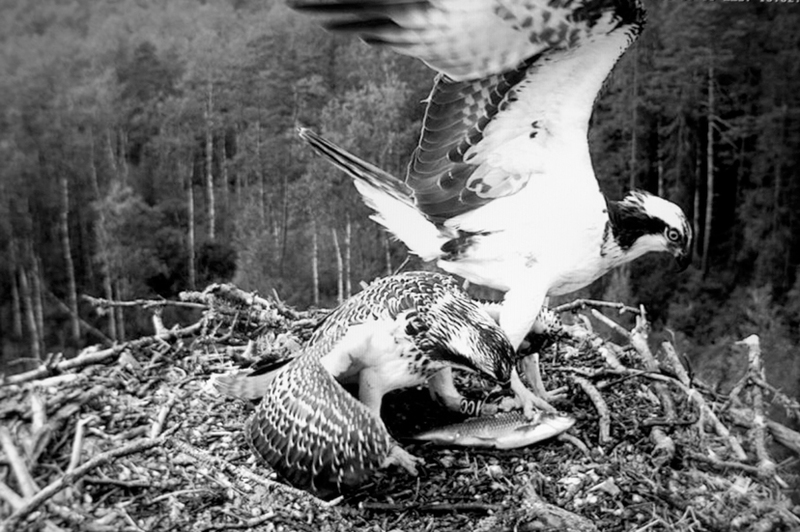 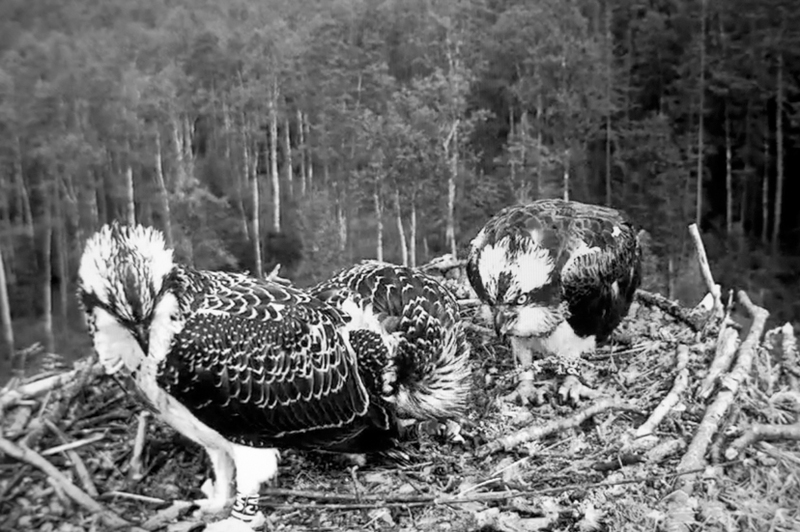 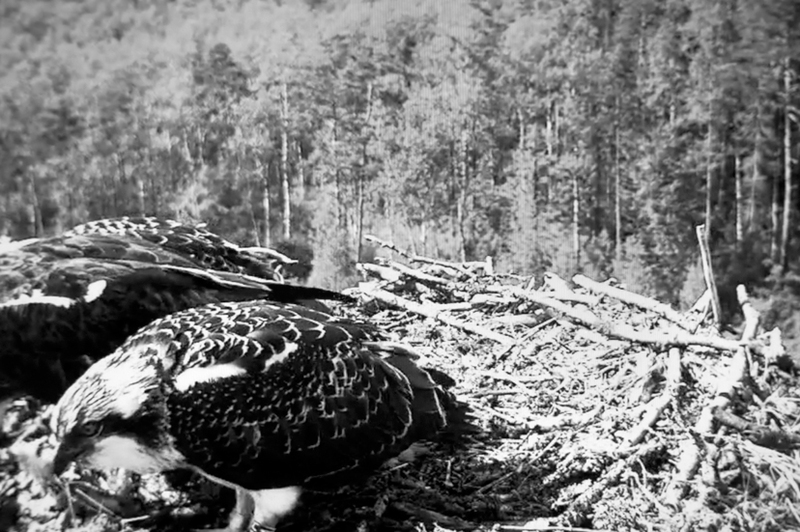 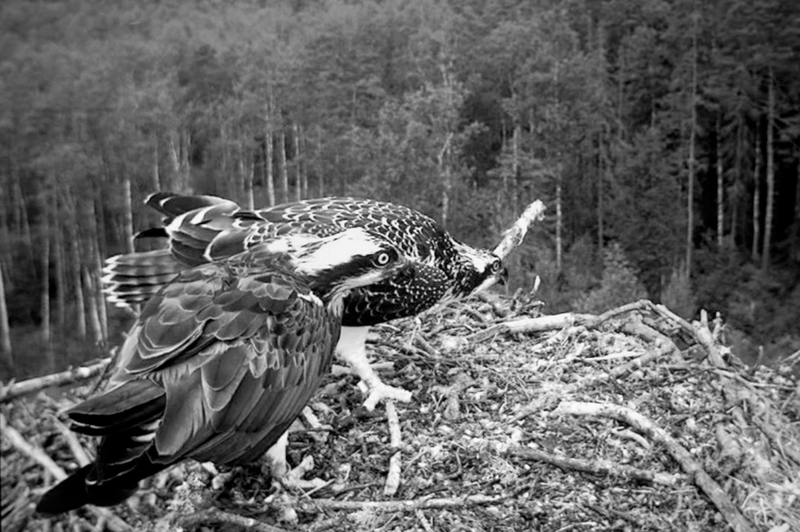 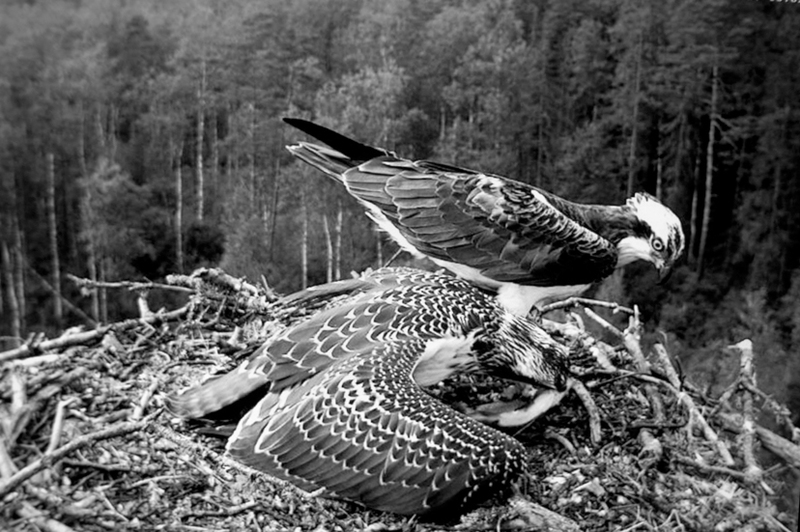 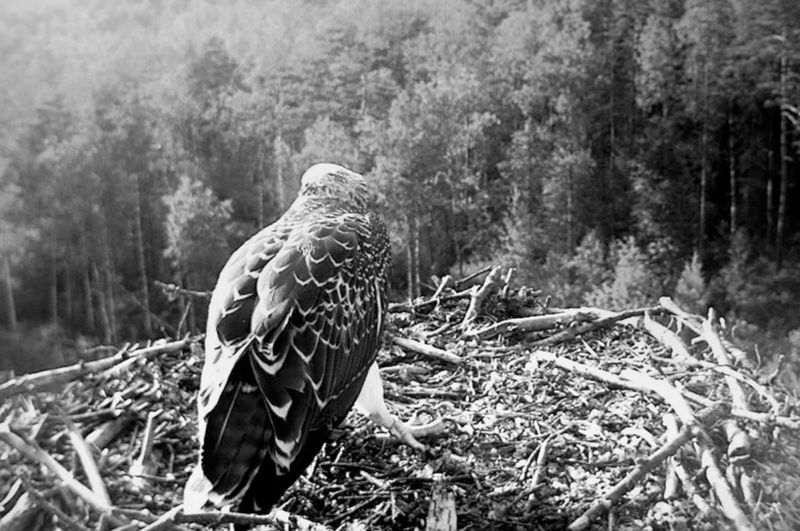 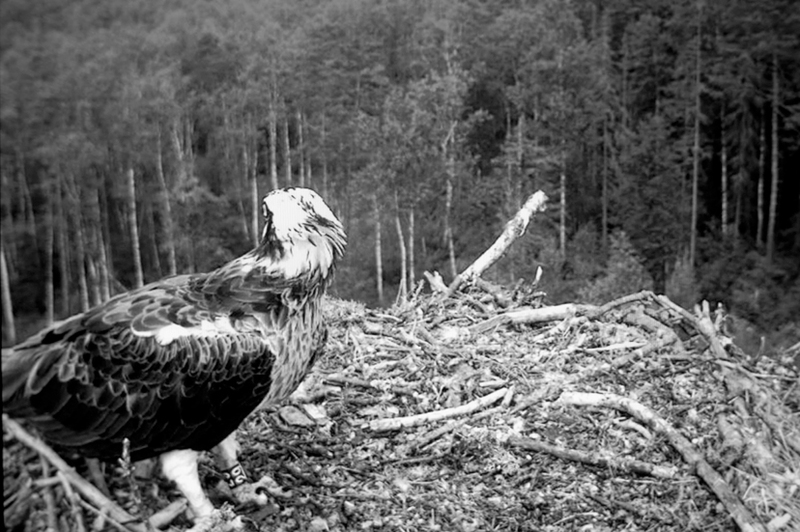 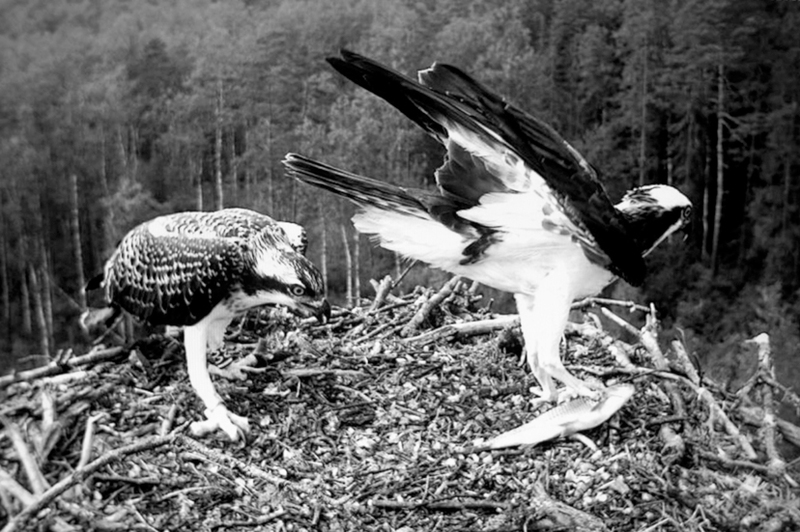 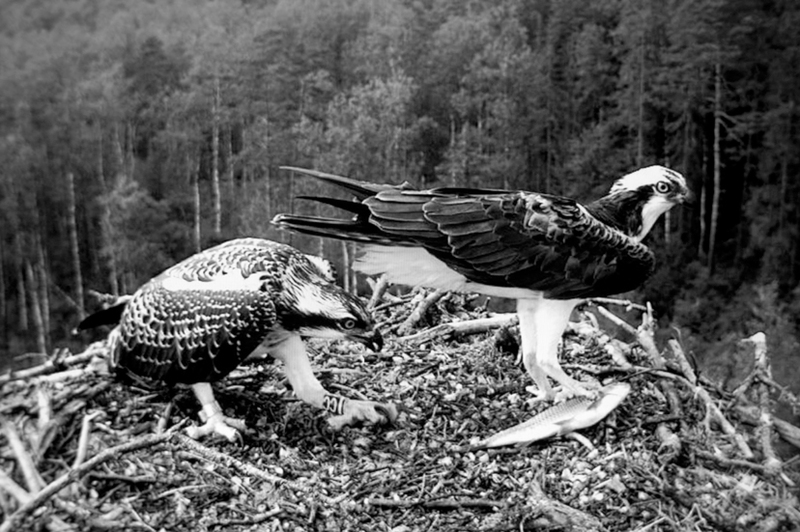 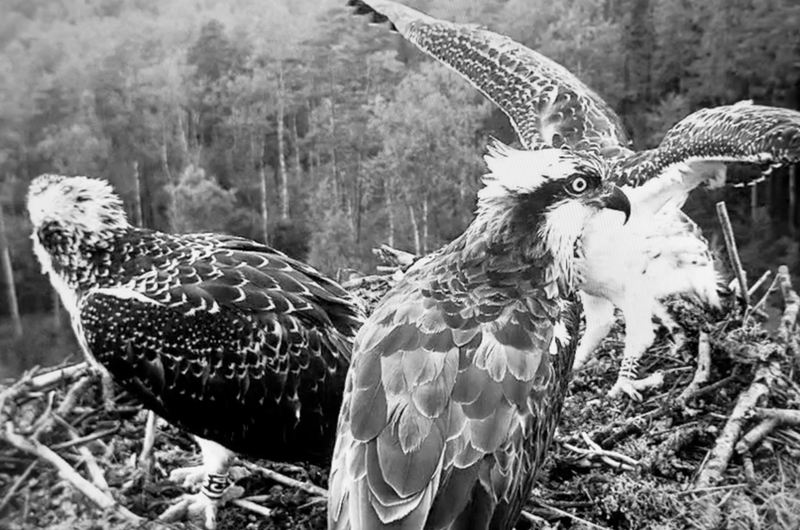 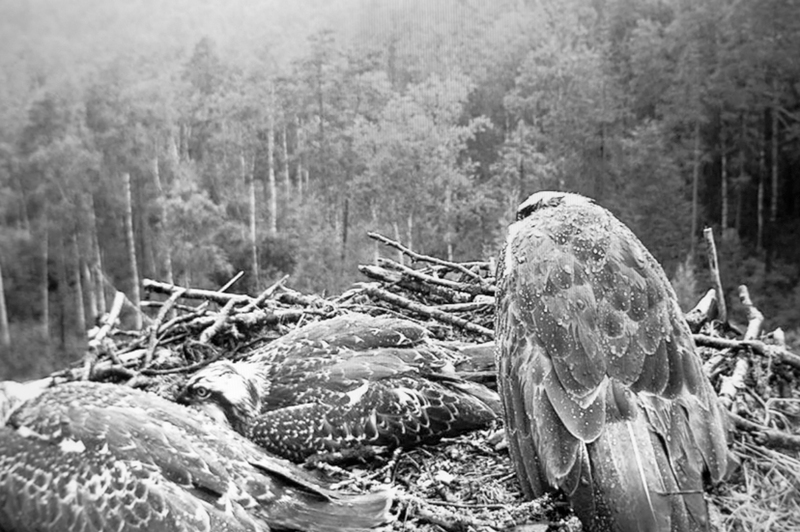 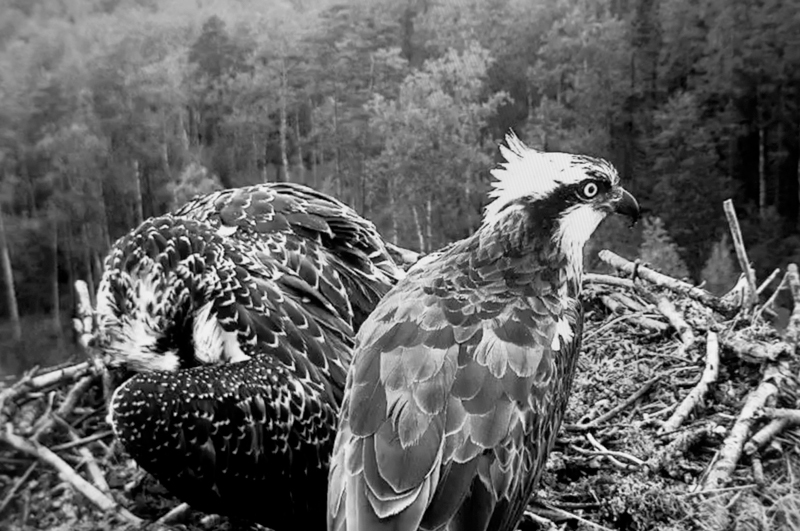 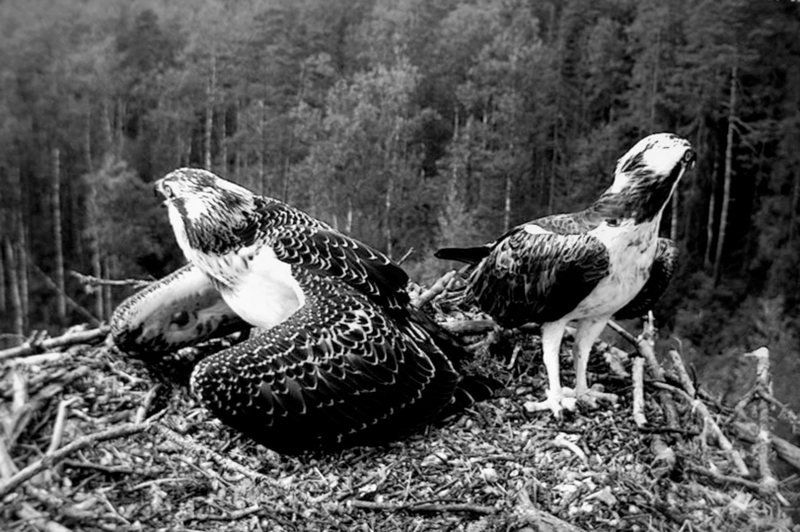 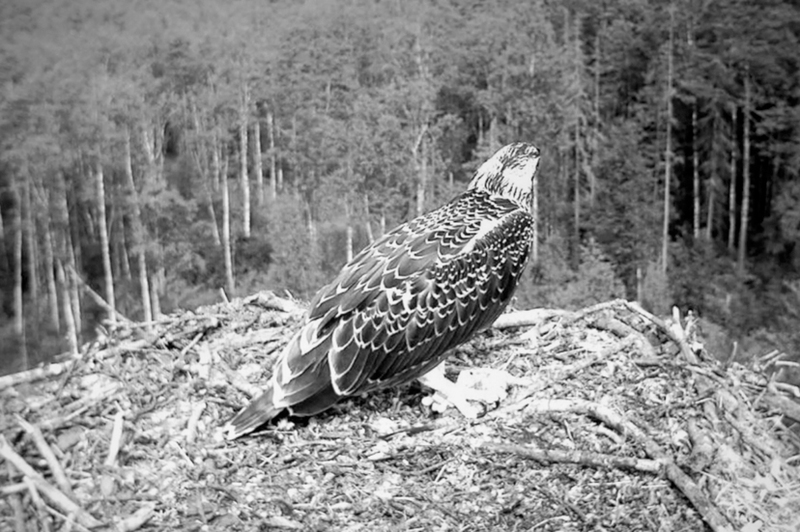 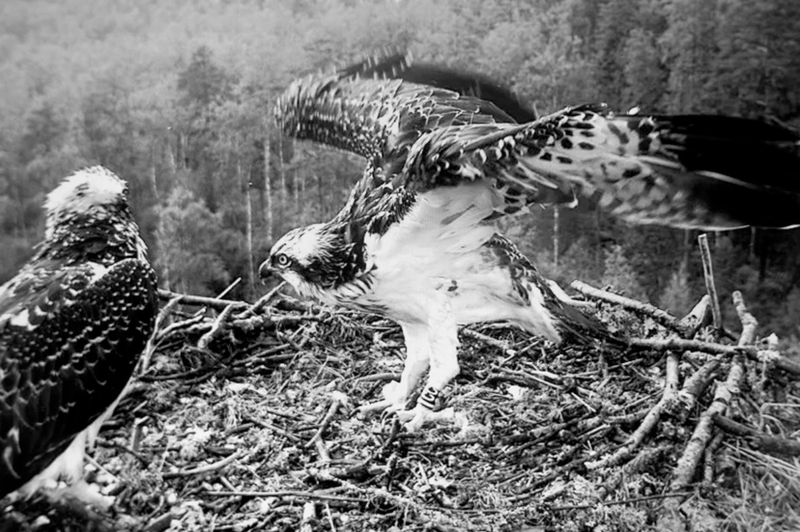 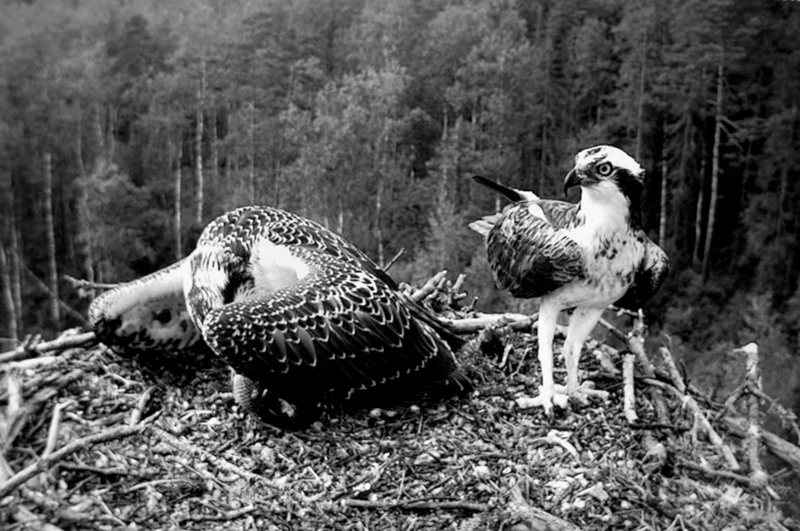 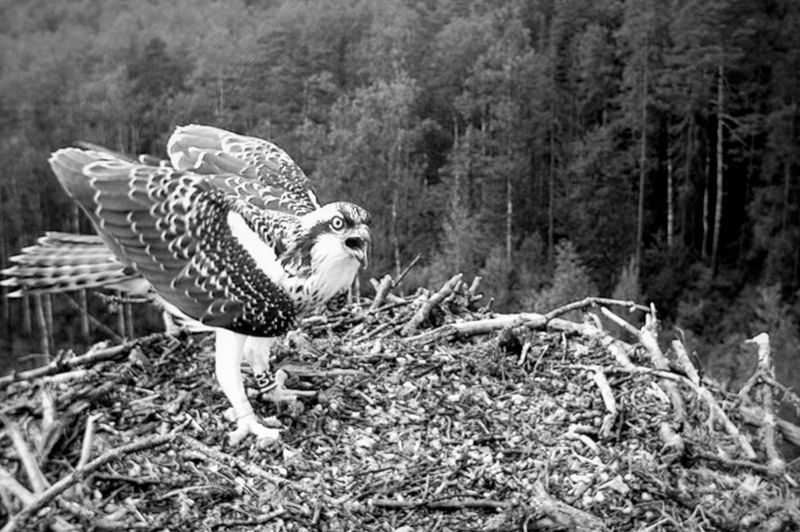 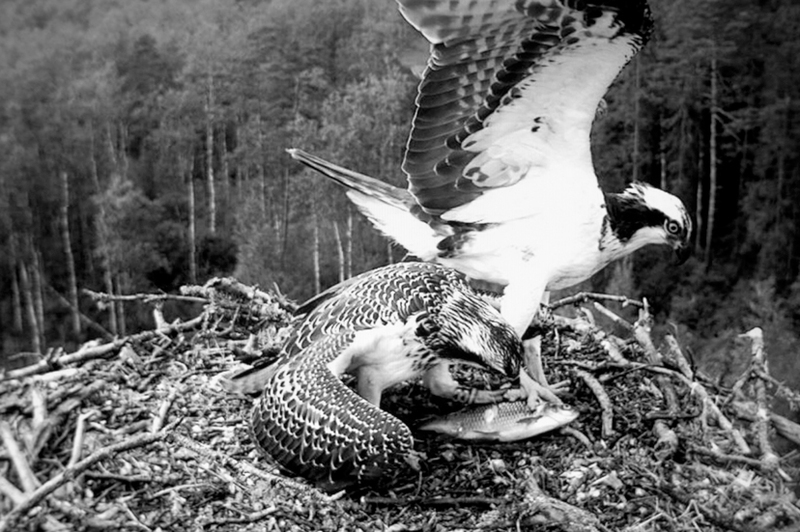 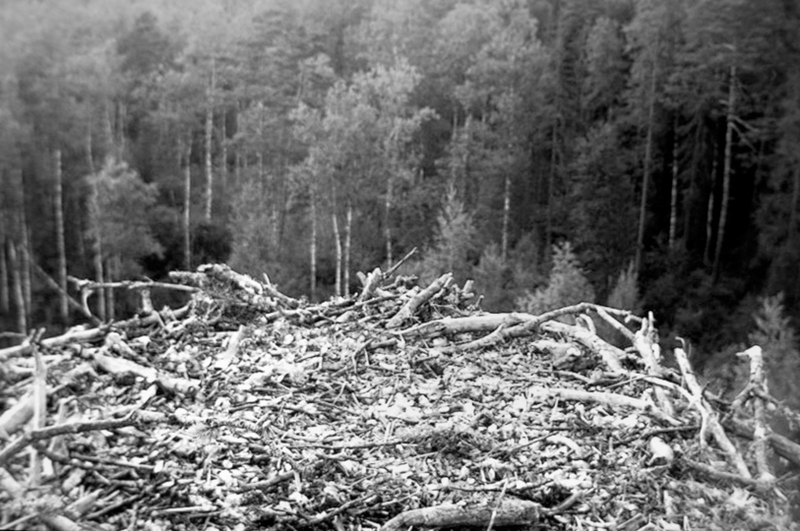 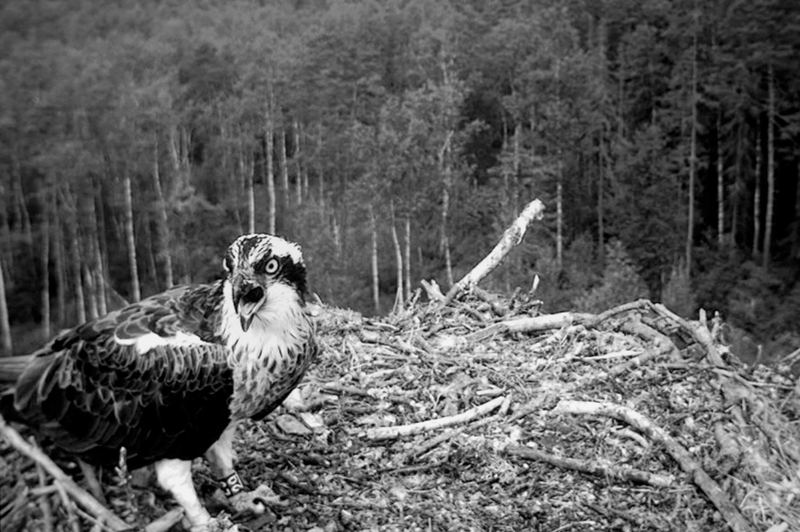 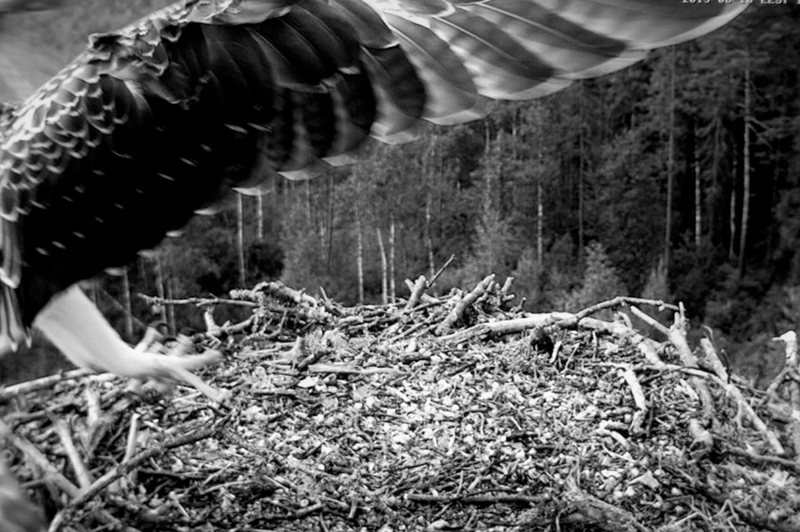 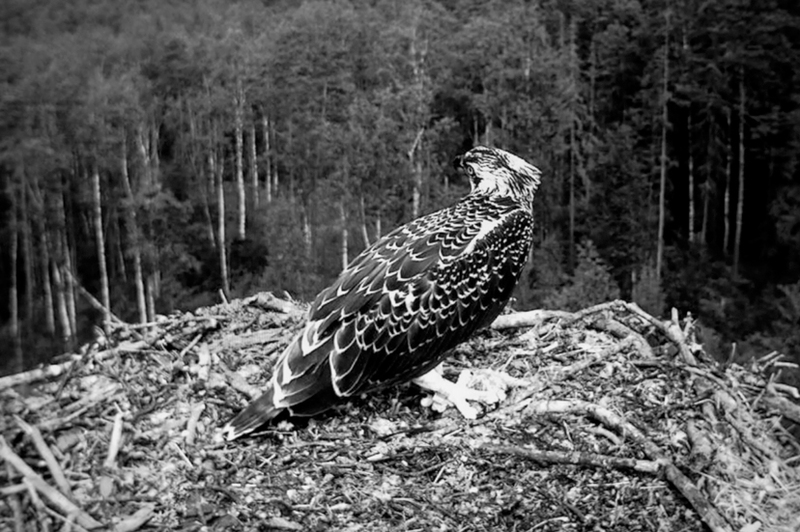 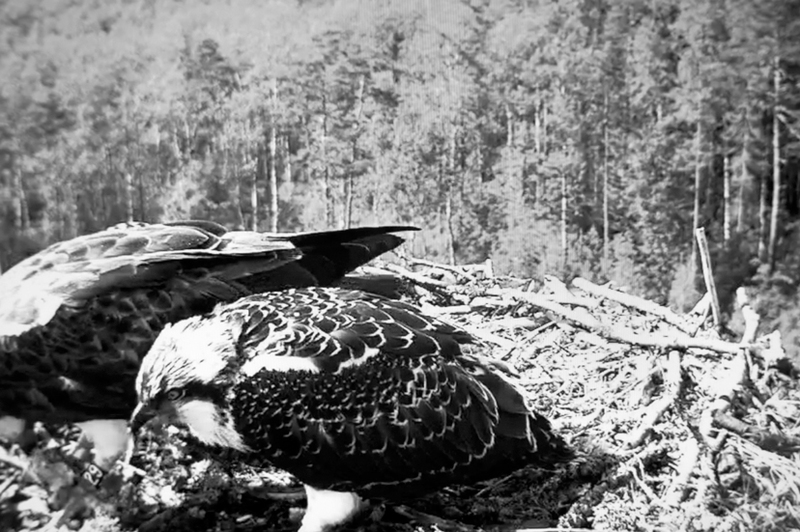 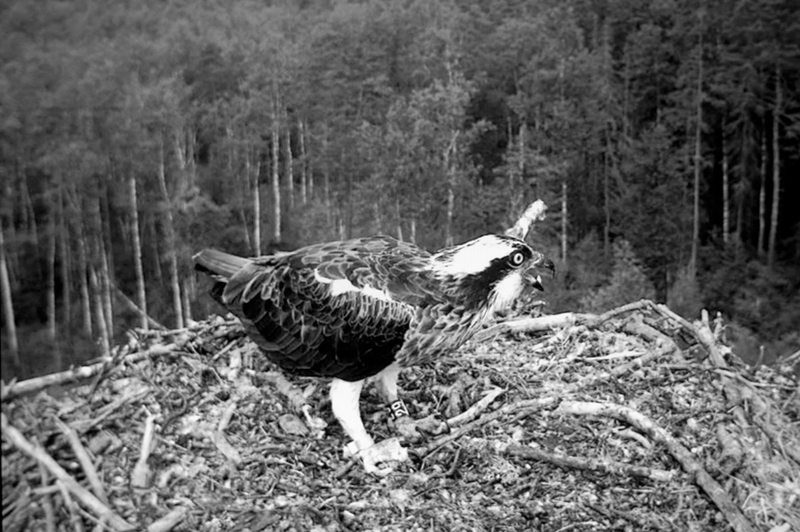 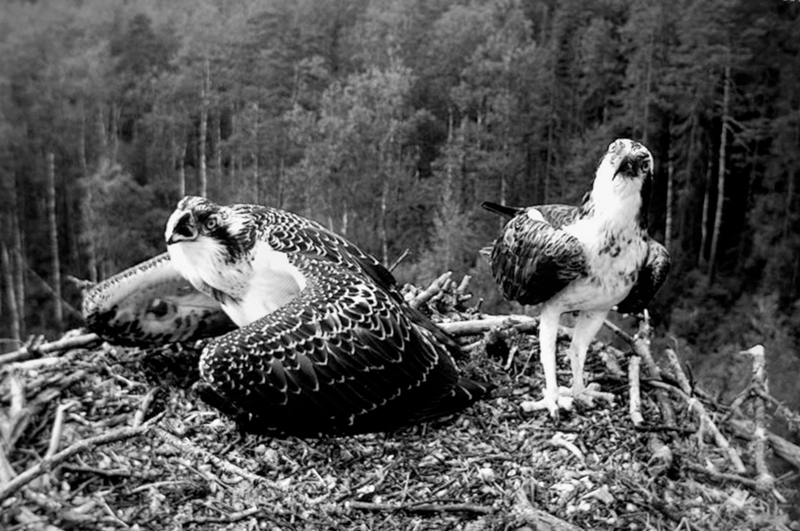 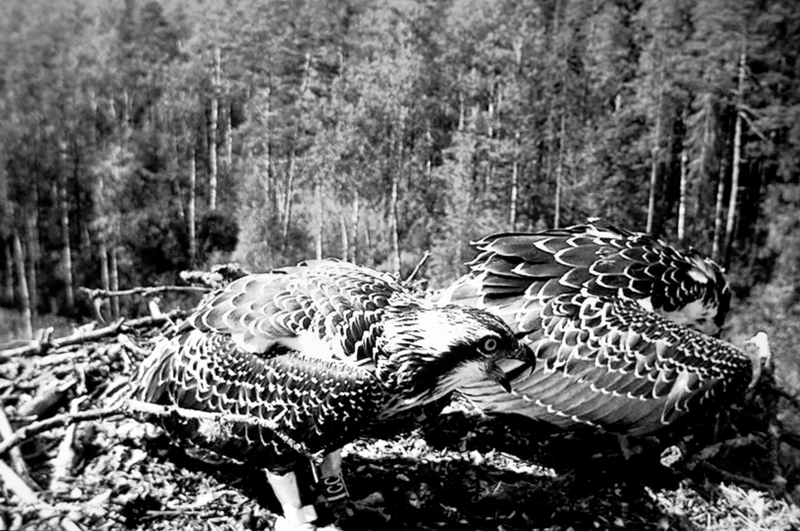 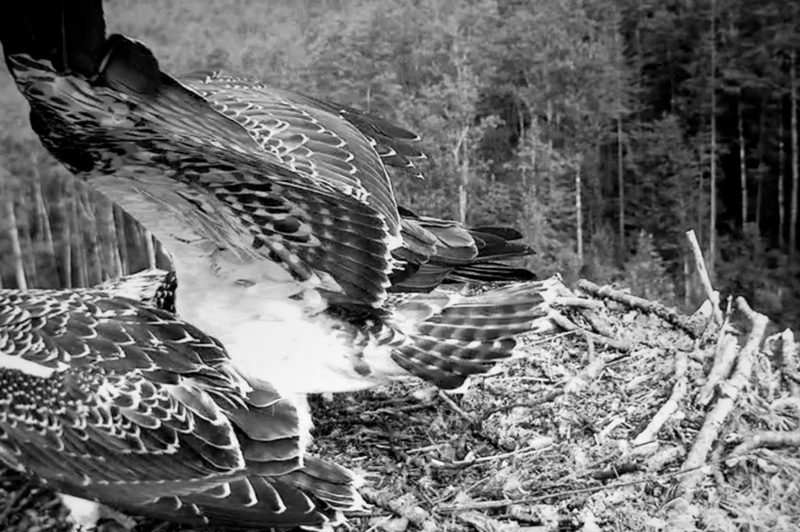 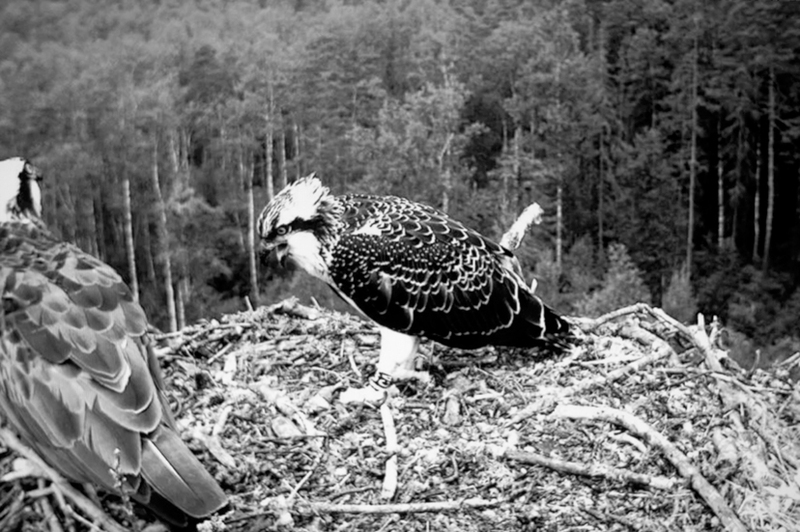 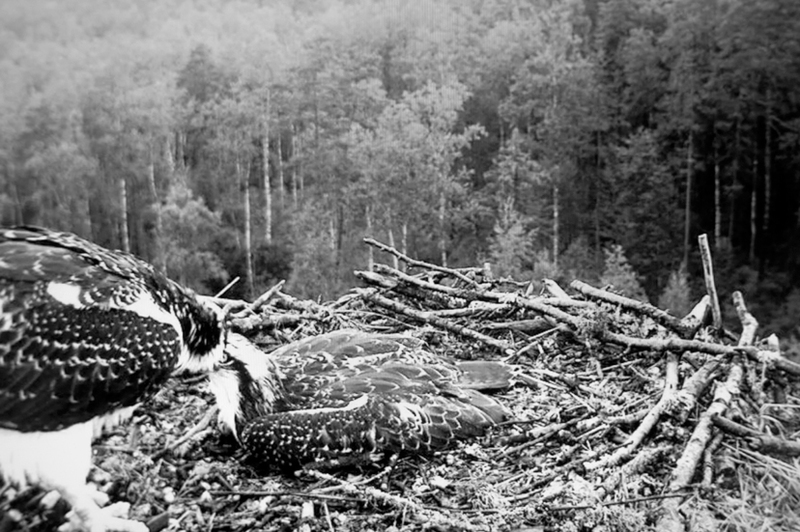 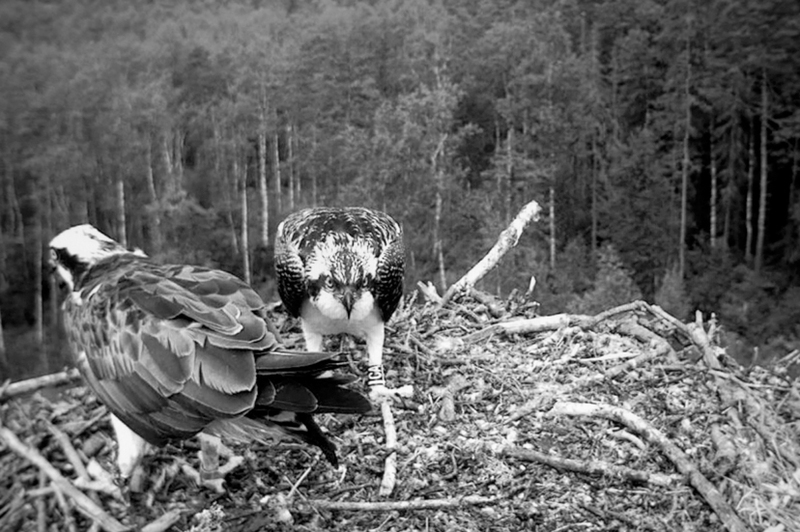 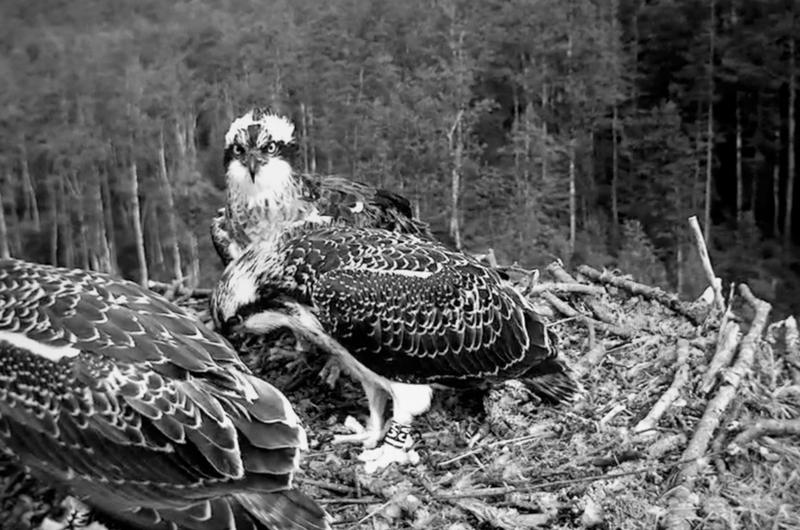 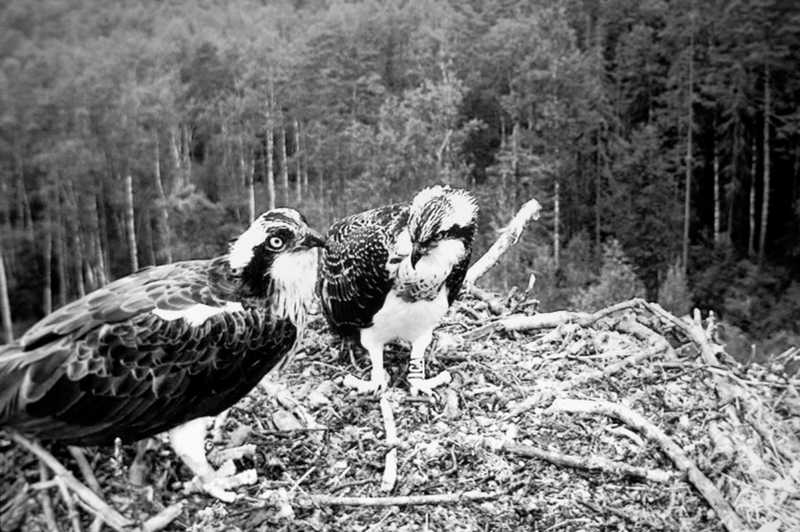 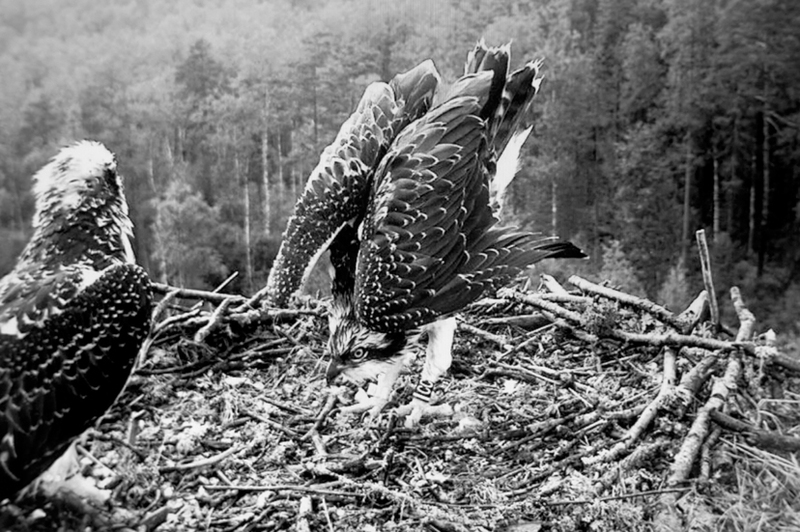 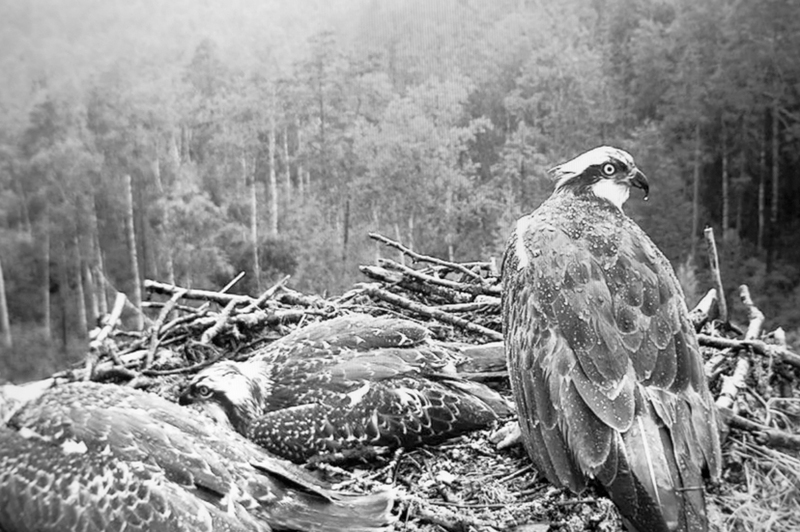 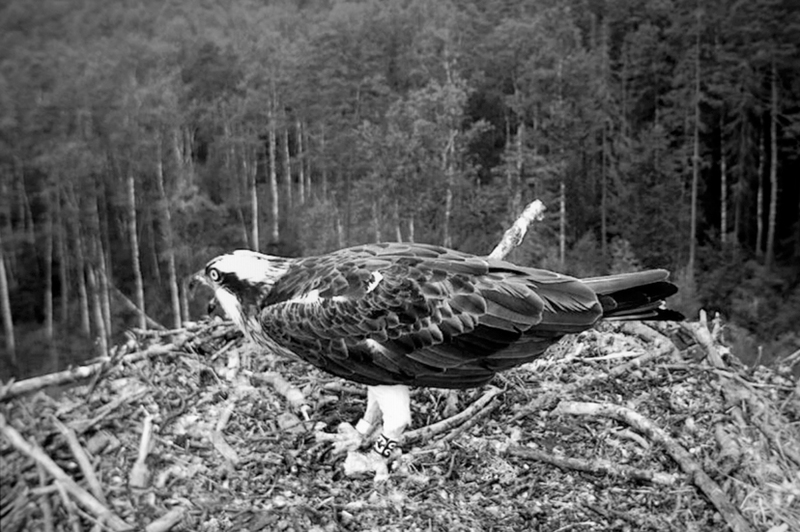 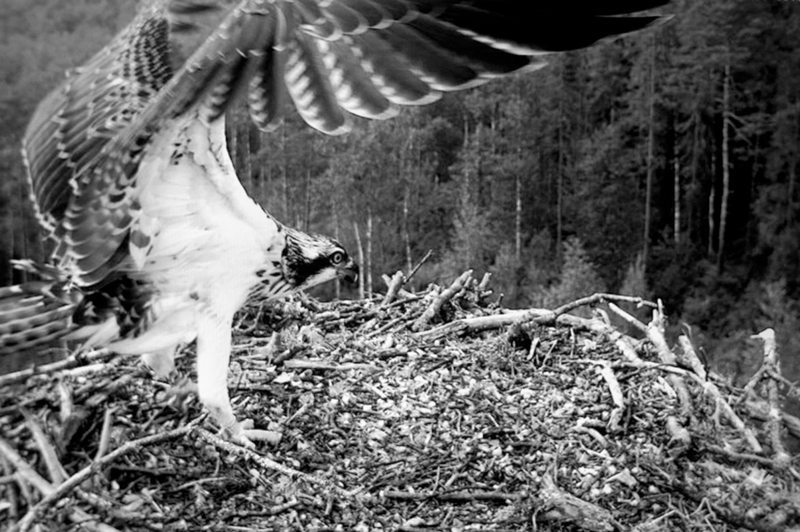 “and everything becomes nothing again“ follows the breeding cycle of an osprey couple from hatching until the two fledglings leave the nest. 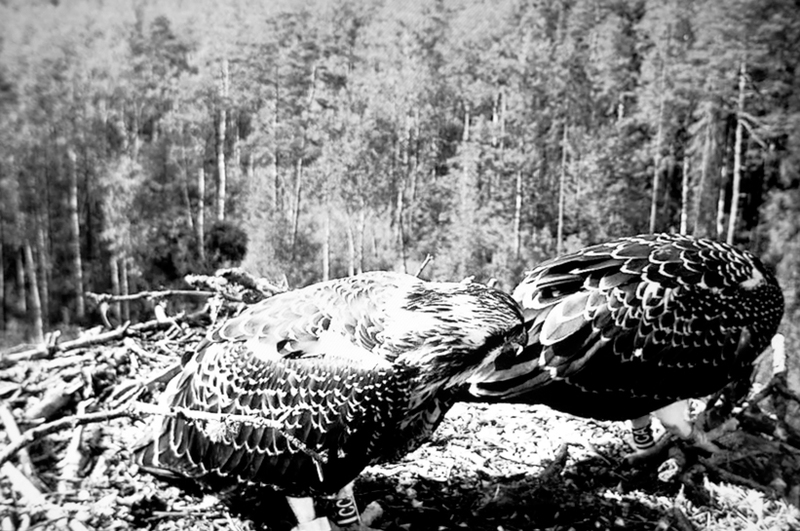 The raptors, with their dramatic colouration and the piercing eye of a hunter, make emphatic protagonists who act out their personal drama in the arena of their eyrie, through light and dark, sunshine and rain, in movement and stillness. 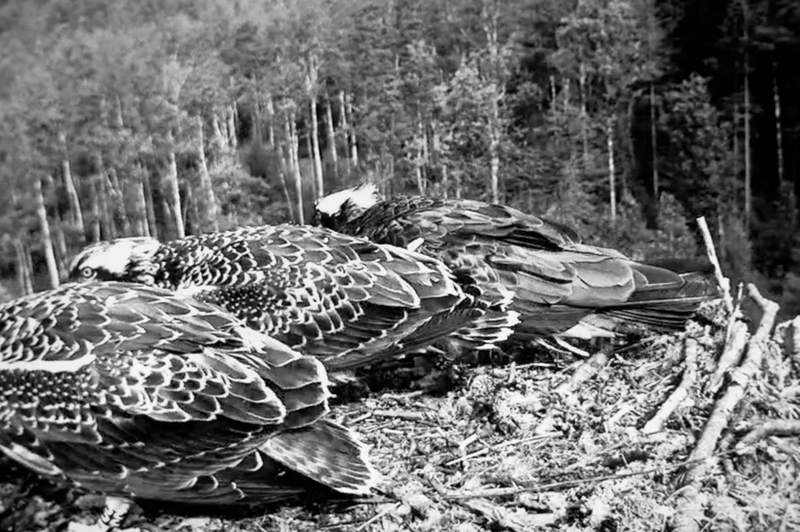 We are silent witnesses, unseen and unnoticed. 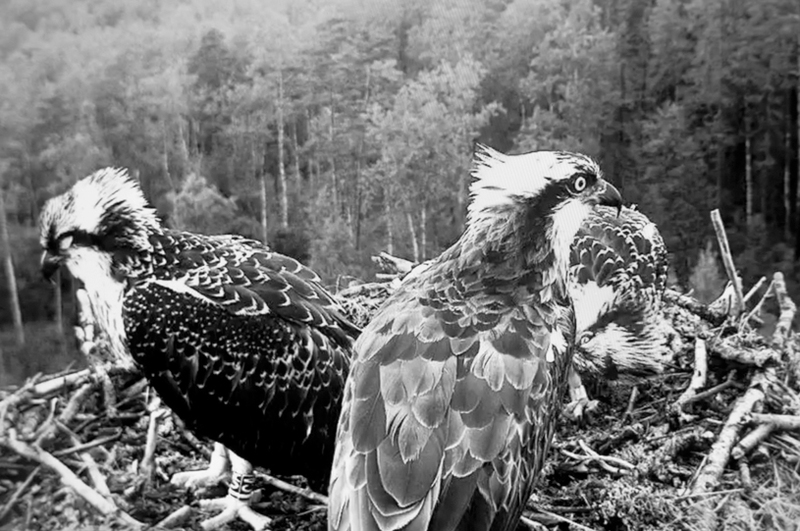 A marvelling audience of an eternal epos, repeated a thousand times, outside of time, outside of space.